Sleep like in seventh heaven. 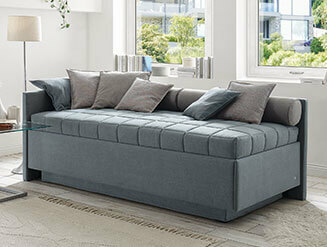 On upholstered beds by RUF|Betten. Top quality begins at the bottom of our beds: the base. The RUF ventilation system we developed is unique. 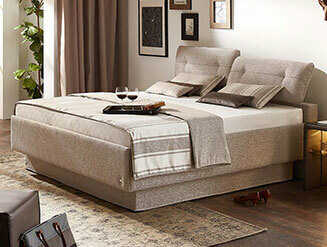 With our comfort upholstered beds, it works on the basis of double walls. The special plastic fittings suspend the spring wood frame a few centimetres above the bed base. 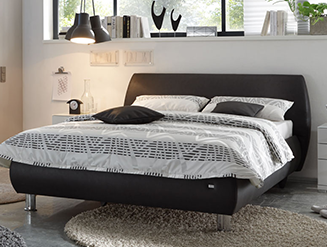 The suspended surrounds allow the air to circulate from outside to inside the bed base. The effect: no mould stains, no mould formation – only a permanently healthy bed atmosphere. The construction is not the only well-thought out aspect. 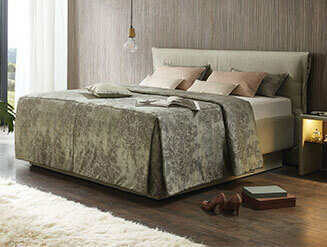 The beds are also produced with craftsmanship to perfection and great attention to detail. Together with your dream mattress and the matching spring wood frame, you get a sleeping system that will bring you heavenly nights. 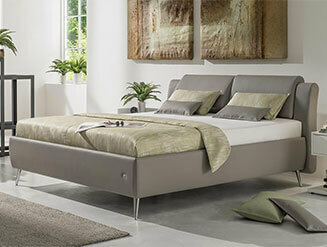 Our upholstered beds are composed of modules that can be combined. This enables you to create your personal bed. The upholstered beds pictured here should spark your imagination.